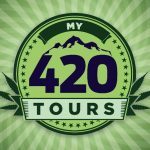 My 420 Tours is at the forefront of cannabis tourism, offering visitors a glimpse into the cutting-edge world of cannabis legalization and marijuana news in Colorado and beyond. We have been here since the beginning. We have embraced the boom, the regulations, and the acceptance of cannabis in our community. We understand how lucky we are to live in a state that not only supports our business, but fosters the Cannabis Industry as a whole. 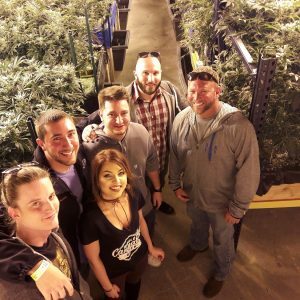 Grow Op and Dispensary Tour – Witness a true behind-the-scenes look at one of Colorado’s best cultivation facilities and explore it’s dispensary to discover what this amazing grow house can produce. In addition tour another phenomenal dispensary which some people call the “Whole Foods” of dispensaries. Sushi, Sake, and Joint Rolling – This class is perfect for anyone who wants to learn how to roll authentic sushi and perfect joints. Everything you need for the class is included in the ticket price, including 2 grams of Cannabis provided by Buddy Boy Brands Dispensary. Your extraordinary evening will be curated by Executive Chef Travis French and expert joint rolling techniques! Intro to Concentrates – Enjoy a deep dive into Craft cannabis concentrates, FREE product sampling, test out state-of-the-art consumption methods designed for concentrates, plus swag, prizes, and everyone will receive a FREE Buddy Vape Concentrate Pen ($60 Value). Budz and Sudz: Cannabis and Craft Beer Tour – The best of Colorado Craft Brews and Cannabis awaits you on this adventure. Be transported in luxury 420 friendly transportation while you smoke, drink, snack, and enjoy the best of cannabis and craft beer. Visit a massive cultivation facility, two of Denver’s best dispensaries, and partake in beer tastings provided by Cicerone Certified Beer master. Cooking With Cannabis – Turn your love of cooking and cannabis into an art form and learn how to make delicious cannabis-infused meals! Located at Stir Cooking School in the beautiful historic Highlands area of Denver, professional chef, Travis French will guide you in the sophisticated art of cooking with cannabis. Learn decarboxylation methods, dosing, cooking strategy’s and more. Cannabis Massage – Transform your body and mind with an Apothecanna cannabis massage. Our licensed massage therapists can provide an in-room or in-studio massage using a variety of all natural cannabis-infused lotions. Since the THC does not enter the bloodstream, there are no psychoactive effects, just soothing, cooling sensations, and immediate pain relief. All-Inclusive Cannabis Vacation by My 420 tours – The quintessential vacation package – explore the ultimate Colorado Cannabis experience.